More than 1,400 riders have registered for Sunday's races to raise money for the Patrick Dempsey Center for Cancer Hope & Healing at Central Maine Medical Center in Lewiston. 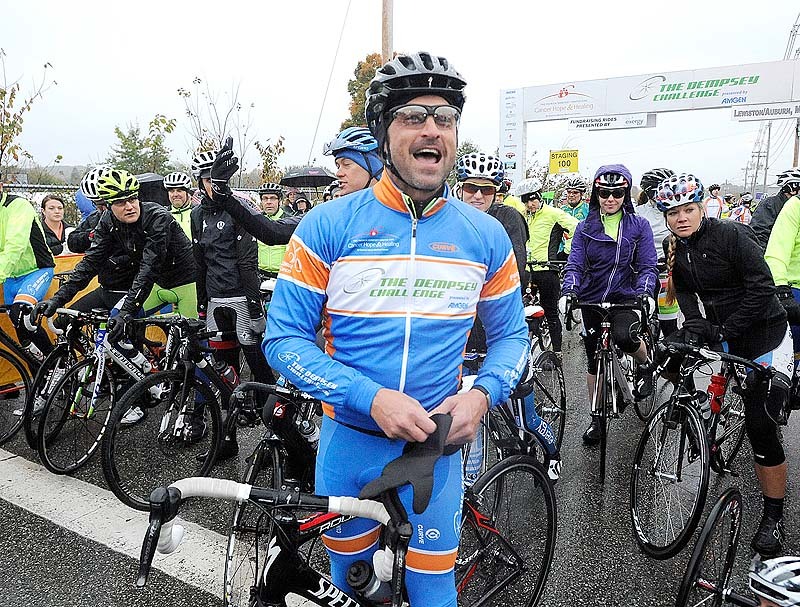 Cyclists in the fourth annual Dempsey Challenge are taking part in 10-, 25-, 50-, 70- and 100-mile rides on Sunday to raise money for the Patrick Dempsey Center for Cancer Hope & Healing at Central Maine Medical Center in Lewiston. More than 1,400 riders had registered. Thousands more took part in fundraising walking and running events on Saturday. Dempsey, who was born in Lewiston and grew up in nearby Turner and Buckfield, was inspired to launch the weekend of running, walking and cycling events under his name following the experience of his 77-year-old mother’s battles with ovarian cancer. The event raises more than $1 million.